When she was just four years old, Santana Morris vowed to herself never to let circumstances define who she was or would become. Morris' is a story of a child with a low self-esteem because of her inability to pronounce words properly, who out of sheer determination, transformed into a self-assured 28-year-old educator, author and now UN Youth Ambassador to her native country, Jamaica. 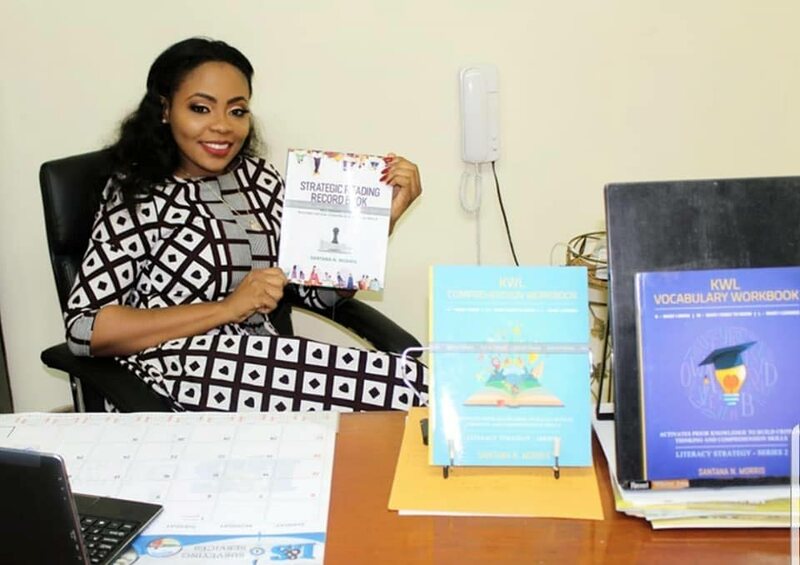 She recently published an educational six-series publication that will officially be launched in Jamaica next month, with a scheduled launch in this country, in August. She told WMN about her journey of overcoming fears and triumph. "As a child I was unable to speak until I was four, and could only utter sounds. While it initially lowered my self-esteem, it also drove me to excel. I knew I would have to study twice as hard to catch up with my fellow classmates and my love for reading just happened naturally. I was determined also to help others with learning challenges. While my own challenges had taken its toll on me before I decided to turn my obstacles into my drive. I read quietly, until I formed my first legible word, which I knew I would be able to speak," she recalled. That first word was "mummy" and brought tears to her mother's eyes. It was also an indication to her mother, Marion, that Morris, an only child, was ready to become who God had purposed her to be. Morris remembered how her mother would be at her side daily, helping her sound out words, allowing her to think critically and read to her heart's content. Her father, Carlton, provided emotional, physical support and quietly championed his resilient little daughter, giving her the push she needed. She did the Grade Six Achievement Test (GSAT), which is equivalent to our SEA, and secured a spot at her first choice, Herbert Morrison Technical High School. She went on to graduate from Shortwood Teachers' College (Jamaica) with a diploma in Education, and also earned a degree, and Master’s in general management from the University of Technology. What followed, she said, has left her mother not only deservedly proud, but jokingly begging Morris to "slow down". At only 28, Morris has caught the attention of Jamaican educators, her prime minister, governor general, and members of parliament, through her efforts to improve on and develop existing reading programmes in Jamaica and the Caribbean. She has been able to impact on literacy in Jamaica through her not-for-profit organisation, The Jamaican Intensive Reading Clinic, of which she is founder and executive director. The clinic, which has its base in Corinaldi Avenue, Montego Bay, Jamaica, is backed by a board of directors and a host of volunteers. 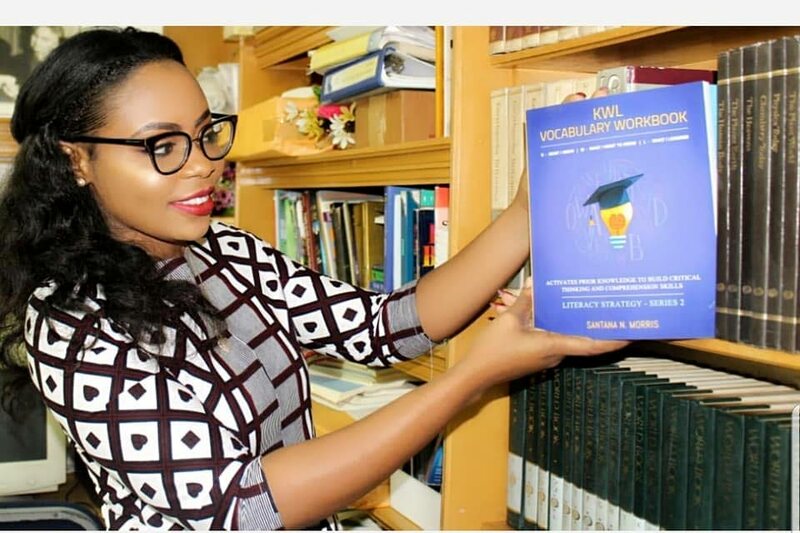 Morris said, she saw a need to provide children with strategic tools for them to contribute to their own learning and knew more emphasis had to be placed on developing critical and analytical skills at reading. It was with this in mind she successfully organised and executed not one, but three vacation reading camps across her country. The first, held in 2016 for one week, saw dozens of children ages six to 17 asking their parents to appeal for an extension in its duration. Morris' camp has earned good reviews on social media across Jamaica. "I used social media, made a clarion call for 100 volunteers and ended up with over 300. It was so fulfilling just being able to see the children's enthusiasm and hear the parents' feedback on how their children benefited," she said modestly. Since then, Morris has been able to partner with private and government agencies to offer more to the children within their one week of packed activities, including exposure to different literacy activities. Her camps have been endorsed by several members of parliament in Jamaica, as well as Prime Minister of St Vincent and the Grenadines, Ralph Gonsalves. Her efforts has earned her several national awards, including the Governor General Award for Excellence in 2016, the Prime Minister's Youth Award for Excellence in Leadership in 2017 and then "saluted" by the Jamaican Ministry of Education, Youth and Information for the UN Youth Ambassador's post, which she copped last year. In 2017, Morris was also recognised in Washington DC as one of the 30, Under 30 Leaders/Emerging Change Makers. None of these accolades, though, seems to have affected Morris' humility, as she credited all her achievements to God. "God is in the midst of every idea, every concept, every plan, every completion. I know I am not doing this alone, He is with me every step of the way," she said. Meanwhile, Morris also recently wrapped up a six-school tour across her country, where she engaged in interactive dialogue with students, which allowed them to voice their opinions on the issues they face. The tour was themed Preserving our Youths through strategic intervention, in creating safe spaces in the 21st Century. Morris said she also used that platform to highlight some of the safe spaces for youths across her native land and inform students on their UN-declared human rights. A report was compiled from this initiative, which, as Youth Ambassador (Jamaica), she intends to present at the UN meeting in New York, next month. "My hope is to be the voice that Jamaican youth feel they don't have and which when they feel brave enough to speak out, gets stifled. My aim is to also look at having youths more involved in decision and policy making in education. So we can see a change for opportunities to be implemented for young people." Morris, though, doesn't see illiteracy as an issue isolated to only Jamaica. In fact, she is determined to impact on young lives across the Caribbean and has taken on the task of making the alphabet more relevant to her country and its culture. "What I had realised was that we were teaching our children, here in Jamaica, western objects to identify letters. What I sought to do, through my book, Alphabet in the Jamaican Context, was to make the alphabet more culturally relevant so that our children would identify with objects, places, things and symbols that were our own. So A became A for Ackee, our national fruit, B for Bandana, one of our national costumes, C for Cassava, a ground provision and so on," she said. She said Jamaica and TT's culture and history are very similar, and intends to modify her take on the alphabet to represent other Caribbean countries as well. "This is, without any doubt in my mind, a Caribbean crisis. The statistics may show one thing, but when you go into the classrooms, you see children struggling. We have to identify how each child learns and allow them to be a part of how they develop, think and analyse, what they saw, heard, touched. Children have different leaning skills. There are three types of learners, audio, visual and tactile. We have to reach them from as soon as early childhood education," she reasoned. Morris hopes that through her publications people will utilise the different strategic tools to build their critical and analytical skills, make better decisions and think more logically. She is near the completion of a platform that will offer online literacy lessons. The concept, she said, has the commitment of over 300 educators from Jamaica, and will allow parents to screen teachers to best suit their children's learning needs. Parents will also have the additional option of making changes, if they believe that their child's needs will be better addressed by another teacher. Reply to "Santana Morris: Advocate for literacy"